Node Bede registers its name with Cuthbert, the NBNS (WINS server). Node Backhouse sends a query to Cuthbert when looking for Bede. 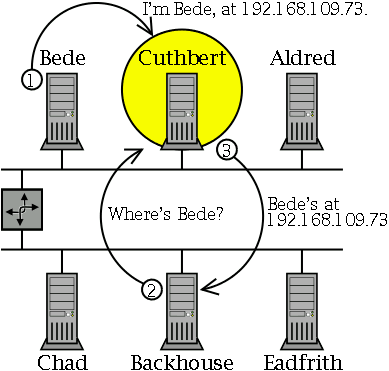 Cuthbert provides the IP address of Bede to Backhouse.